LONDON - Publicis has appointed Kevin Ramsey, the former president of McCann Worldgroup Asia Pacific, as the new chairman and chief executive of its Asia Pacific region. Ramsey replaces Matt Godfrey in the role, who is leaving the agency to return to his native Australia. 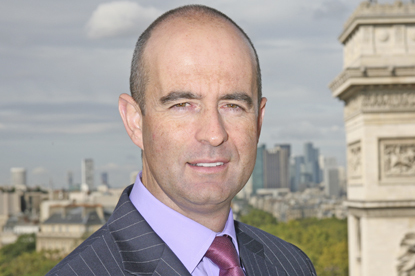 He will report to Richard Pinder (pictured), the chief operating officer of Publicis Worldwide, and will be responsible for overseeing the 22 Publicis-affiliated offices within the region. Ramsey left McCann Worldgroup in July last year, having spent five years working at the network. Previous to working at McCann's, Ramsey was the president and chief executive for Asia Pacific at M&C Saatchi. Ramsey said: "I am excited to be joining Publicis. The network has an intriguing point of difference and is uniquely prepared to deliver growth to clients in today's new reality." Pinder said: "I regarded Kevin as a formidable competitor when I was working in the region and am proud to have him join us."